Less than 2 years ago, I wrote a review on the amazing capabilities and portability of the Digilent Electronics Explorer Board (EE Board). The EE Board features a 4-channel oscilloscope, 2-channel arbitrary waveform generator, 4-channel voltmeter, 2 voltage references, triple output power supply (+/- 9 v & 3.3/5 v), and 32-channel logic pattern generator/logic analyzer. 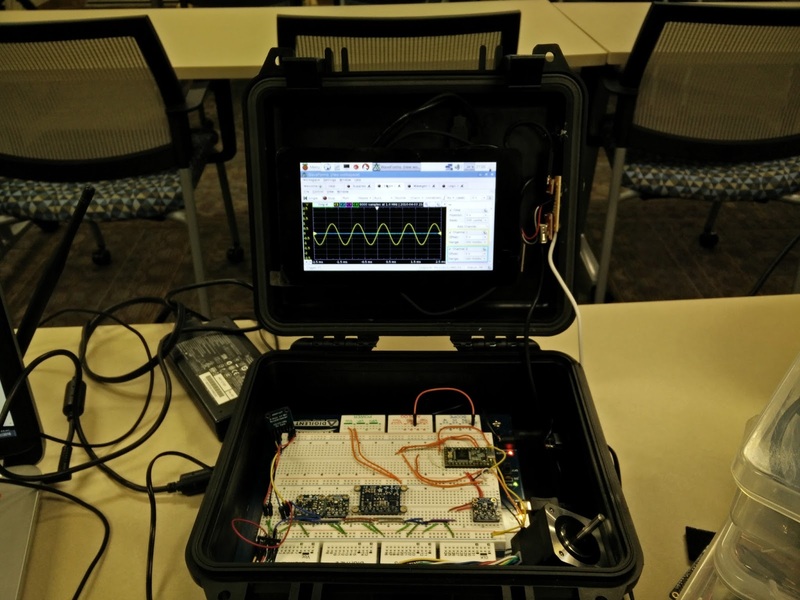 Other functions using the oscilloscope inputs include a network analyzer, and spectrum analyzer. 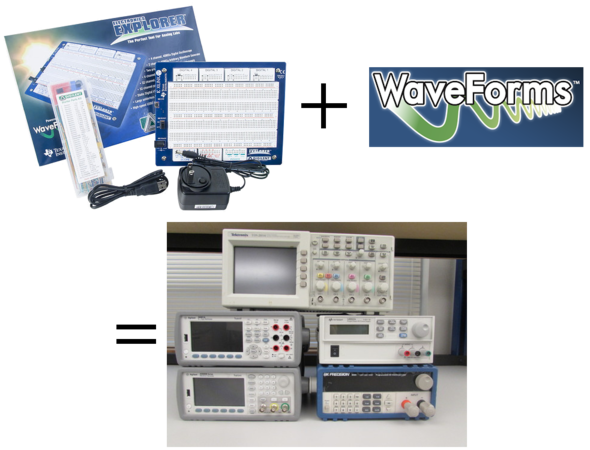 "Used with WaveForms, the EE board has all of the functionality as the stack of equipment pictured and more!" The EE Board has become an integral part of my hardware arsenal. 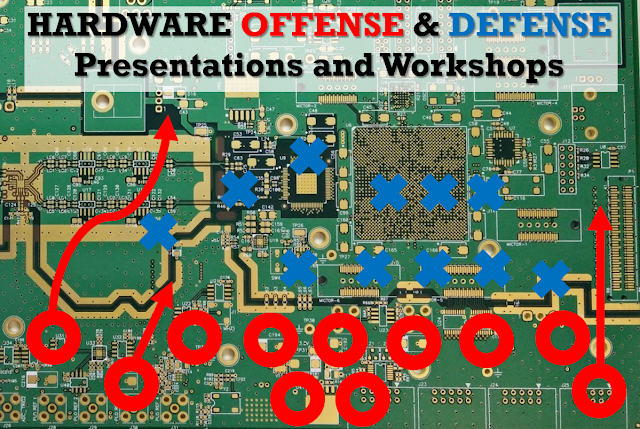 Most of my projects, that I build from scratch, are tested on the EE Board. Since it takes up very little space in my tool box, it has been an amazing tool for hackathons. Even at my current job, I have been using the EE Board to quickly design and test circuits (Digital and Analog) around the Teensy 3.2 and Arduino. 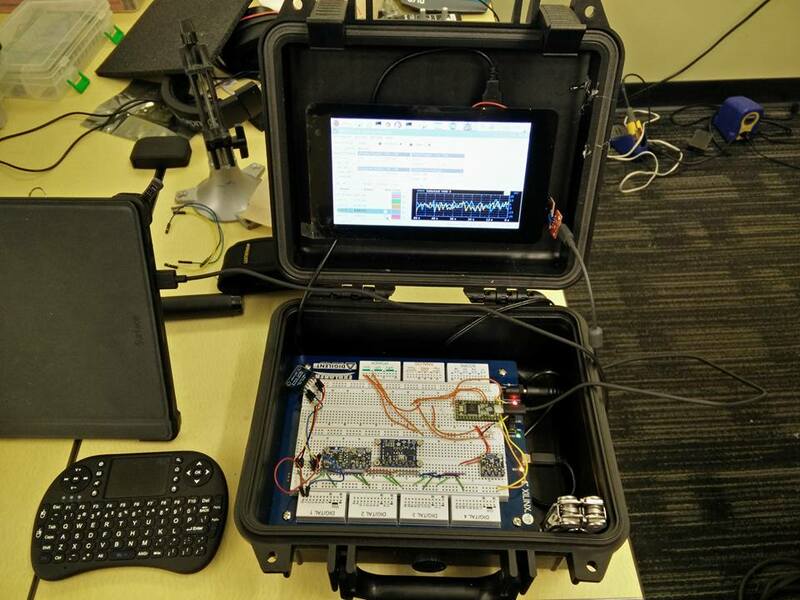 Interestingly enough, at a hackathon, I came up with the idea for PiBench. As I was building a circuit up and writing code on my computer for the Arduino, I was wishing that I could run the EE Board independently. It was about 2 AM in the morning and I distinctly remembered that there was some Linux support for the EE Board... That got me thinking about the Raspberry Pi... Oh boy, The Pi can run Linux, so this means that the Digilent Waveforms software has a good possibility of running on the Pi. I did not know that Digilent actually released a newer version of the software. I was still running a 2013/2014 version of the software. Researching the new software (Waveforms 2015), I found that there was actually a version that they made for ARM processors, which the Raspberry Pi has!!! This was very promising and so I installed the software on the Pi and it ran without any problems. I used the official Raspberry Pi 7" touchscreen in this project. I put everything in the $17 MCM weatherproof enclosure. PiBench. 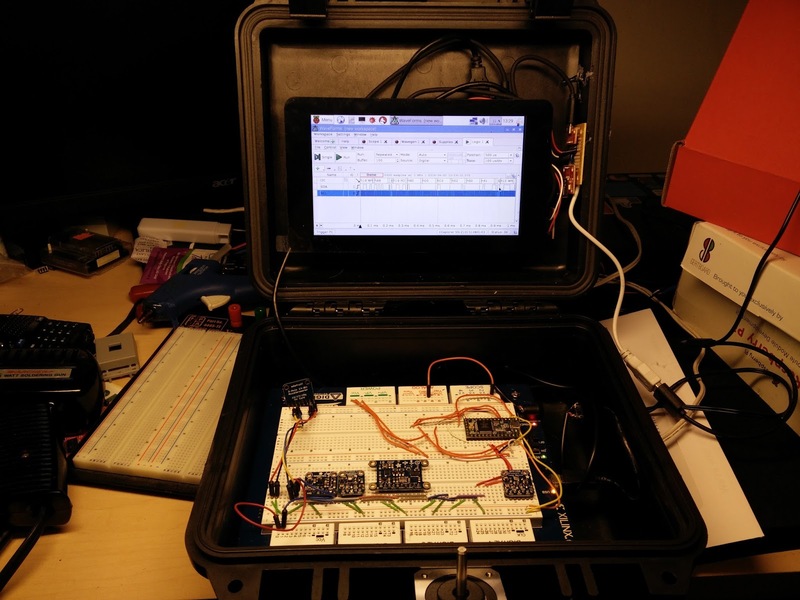 A standalone portable electronics lab bench! Nice work! I'm going to do the same. But does the 7" touchscreen have enough resolution to fit everything in? Can you do everything with the touchscreen or does it help to have a wireless keyboard+touchpad combo also?